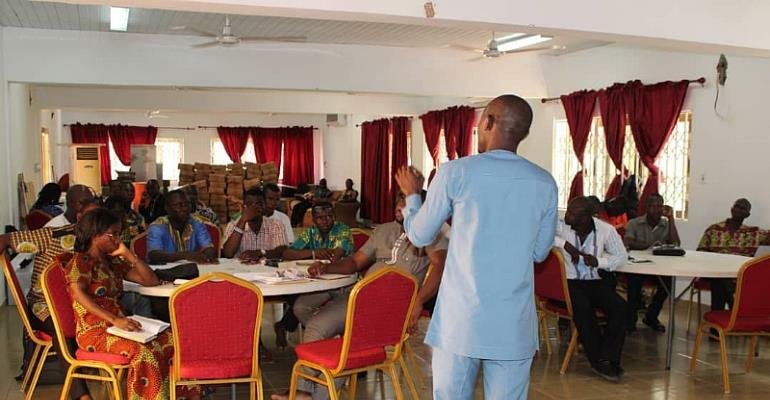 The District Education Directorate of Afadzato South has organised a 2-Day Financial Management Review Meeting for Heads, Accountants and Storekeepers of the six 2nd Cycle institutions within the district from April 9 to 10, 2019. The purpose of the meeting was to equip the target group with current financial practices in order to enhance the effectiveness and efficiency of the core center managers. In her opening address, the District Director of Education, NANA KUGBEADZOR-BAKATEYI Il, sincerely appreciated the efforts of the heads and their team for their commitment to duty and support in diverse ways towards the delivery of quality education services in the district. She called on the participants to develop and implement core principles that meet stakeholder expectations. "Heads and Principals are therefore expected to be abreast with the contemporary core functions and skills of school management and practices same to meet stakeholder expectations. Central to excellent performance as heads and management of public institutions is the ability to plan, organize, coordinate, control, monitor and evaluate all activities in our schools," She said. The District Director also admonished the participants to discharge their core management duties in a manner to avoid clear breaches of procurement laws and the Public Financial Management Act 2016, Act 921. The opening ceremony was graced by the District Chief Executive for Afadzato South, Hon. Lawyer Wisdom Semanu Seneadza. In his brief Statement, he touched on the legal ramifications associated with breach of law in performance of duty as a Public Officer. "When you breach the law, darkness will visit you in the day," He intimated. The Volta Regional Internal Auditor, Ghana Education Service, Mr. Ginus Issah cautioned the house to keep their records explitly well in line with the stated rules and regulations. He noted that he had appeared before the Public Accounts Committe(PAC) on behalf of some SHS/TVET Schools, to respond to issues raised in the Auditor General's Report. He advised the participants to follow the laid down rules strictly so as to reduce if not eradicate the number of Volta region schools that will find their way into the Auditor Generals Report. 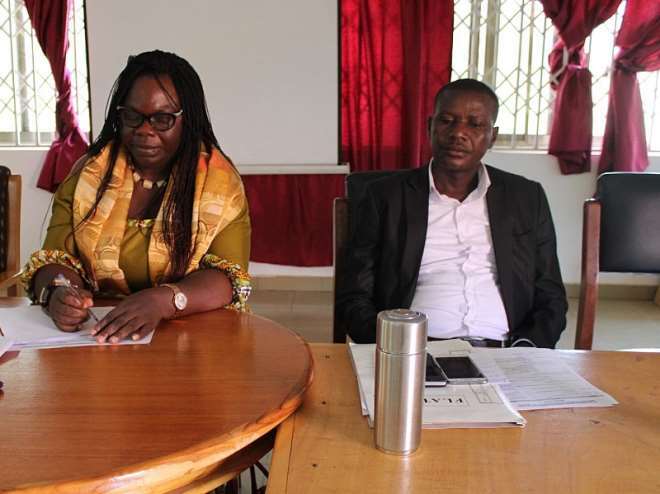 The Volta Regional Director of Education, Madam Enyonam Amafugah also joined the meeting on the second day. She was so much impressed about the organisation as "this was the first in the region". She added that, other districts across the region would be asked to emulate the example of Afadzato South GES. The Afadzato District Assembly Internal Auditor, Procurement and Budget officers, as well as the District and Regional Internal Auditors, took turns to enlighten and coach participants on key financial management issues including Budgeting, adhering to *internal controls,* procurement procedures, value for money principles, responding to audit queries and Budget vrs expenditure tracking skills. The various participating institutions were Ve-Snr. High School, Agate Snr. High School, Leklebi Snr. High School, Logba Snr. High School, Liati Comboni Tech./Voc. Institute and Have Technical Institute and selected staff of the Education Directorate.